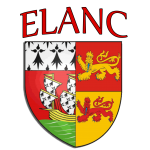 ELANC association’s goal is to promote linguistic and cultural exchanges between adults living in the twinned cities of Nantes and Cardiff. In relation to the Nantes-Cardiff twinning, the association aims at gathering adults interested in the British culture, and particularly in the Welsh one. This exchange allows them to practise the English language with native speakers. There are around 70 members in the association. The association’s chairman is Mr. Bernard Martin. How to promote language exchanges? By going on a trip ! A group of 20 or so inhabitants of Nantes goes to their Welsh hosts’ home for a week in order to speak English and to discover the Wales region. About a month later, around 20 Cardiff inhabitants come and live for a week in Nantes at their hosts’ home to speak French and to discover the Pays de la Loire region. Other activities are organised during the year in order to make the association’s members get together: picnics, rallies, restaurants or afternoons playing traditional “boules nantaises”.